The installation of a backup generator could save you from a great deal of aggravation if a power outage occurs at your home in the Newton, Massachusetts, area. If you’re looking for a licensed electrician with more than a decade of experience installing and maintaining premium home generators, look to VMA Electric. Portable units – Smaller and easy to store in your garage, a portable generator is ideal if you want to be able to power a small number of appliances during a power outage, such as a refrigerator and television. These units are also ideal for camping, tailgating, and other outdoor events where power may be needed. Whole-house units – Installed permanently outside your home, these generators kick in when the power goes out and can keep all the electrical systems in your home running until the outage ends. 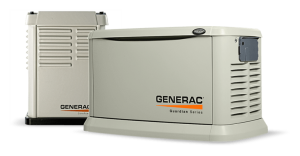 At VMA Electric, we know that our reputation is tied to the quality of our products, which is why we offer generators from respected manufacturers such as Generac. Additionally, our technicians average more than a decade of experience, so you can count on the generator installation at your home to be done with precision. If you would like to learn more about the generator installation services we offer for homeowners in the Newton, MA, area who don’t want to be left in the dark during a power outage, contact VMA Electric today.